Zuli has been shipping its Smartplugs to Kickstarter backers since mid July, and now the company feels comfortable enough to send devices to reviewers who don’t have a stake in the product’s success or failure. The Zuli team is delivering is pretty much exactly the product they promised, and that’s a good thing because it’s an excellent concept. And if you own a Nest Learning Thermostat, Zuli Smart plugs will make that device work better than it can on its own. More on that later. You can start with just one $60 Zuli Smartplug, but you shouldn’t. The $160 Presence Pack is the way to go. It consists of three smart plugs, which is the minimum requirement to enable Zuli’s Presence feature. 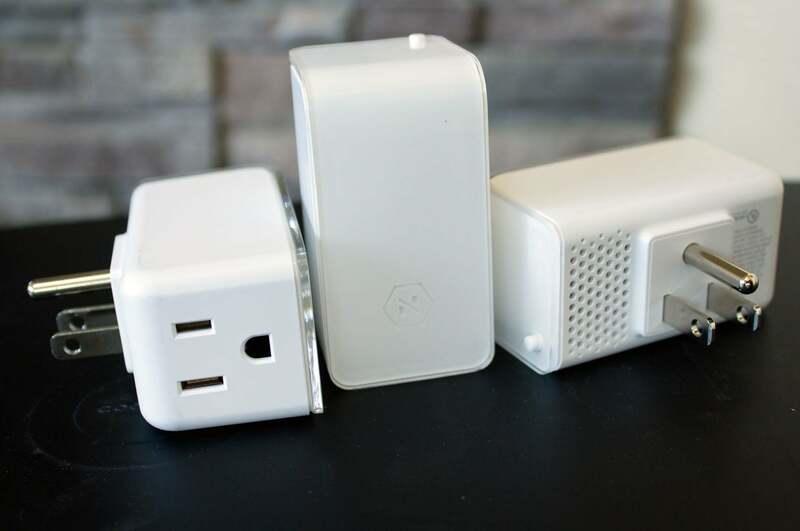 Deploy three or more Smartplugs in your home, and they’ll form a proprietary mesh network using the Bluetooth Low Energy protocol. The network communicates with the app you install on your iPhone (and it must be an iPhone, iPod, or an iPad with 3G; Android support is still in development) to pinpoint the device’s location inside your home. 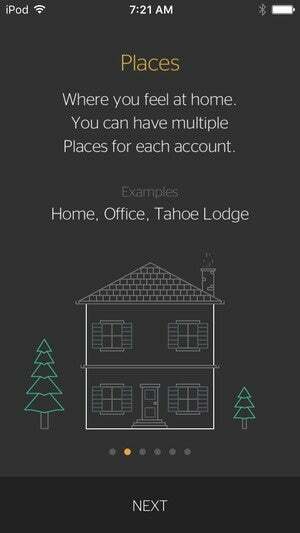 Once you have three Smartplugs, you can add single plugs as you go to make the network bigger and more accurate. As with other connected-home wall warts (Belkin’s WeMo, Lutron’s Caseta, Z-Wave plugs from numerous manufacturers), you plug the Zuli into your wall outlet and then plug the lamp you want to control into the Zuli. Unlike those devices, the Zuli doesn’t depend on a central hub—or even your Wi-Fi router. There’s literally nothing else to buy. You'll need at least three Zuli Smartplugs to enable the Presence feature, and that's something you'll really want to have. After you calibrate each plug, a one-time exercise that takes about two minutes per plug to establish the perimeter of your room, the network tracks the location of your device inside your home. When you enter the room with your device, the plug will turn the light on automatically. If it’s a dimmable bulb, you can even preset it to whatever brightness level you prefer. In my experience, the light did not always turn on instantly. It sometimes took as long as seven seconds. What’s more problematic is that Zuli Smartplugs aren’t smart enough to know when it’s night or day. Enter the room in broad daylight, and they’ll turn your lamp on whether you need the light or not. 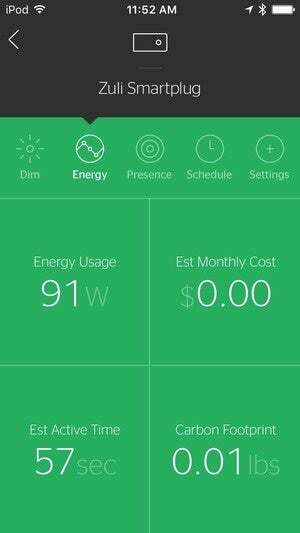 Zuli's app can control Smartplugs in more than one home. Leave the room, and the light will automatically turn off five, 10, or 20 minutes later, depending on your preference (you can also manually turn it off using the app). This location awareness is basically a micro version of geofencing, and like that technology, it depends on your iPhone being on your person. That’s not an unreasonable burden, unless your daily routine is to plug your phone into its charger when you come home at night—which is exactly when you’d want the Zuli Smartplugs to do their thing. An even better solution would be to have the app run on a wearable device—like an Apple Watch—but I’m sure that’s on Zuli’s roadmap. Most homes have more than one person living in them, of course, and the Zuli Smartplug network can work with multiple iPhones, but the first person to enter the room will rule the roost. If a second person enters the room, their lighting preferences will be ignored. In a briefing earlier this year, Zuli CEO Taylor Umphreys told me the company is working to develop a hierarchical ranking system that will assign each user’s preferences higher or lower priorities, so that mom and dad’s lighting preferences can overrule those of the kids, for instance. Families will have to decide for themselves if mom or dad gets top ranking, I suppose. And it bears repeating that everyone will need to have their iPhones in their pockets. 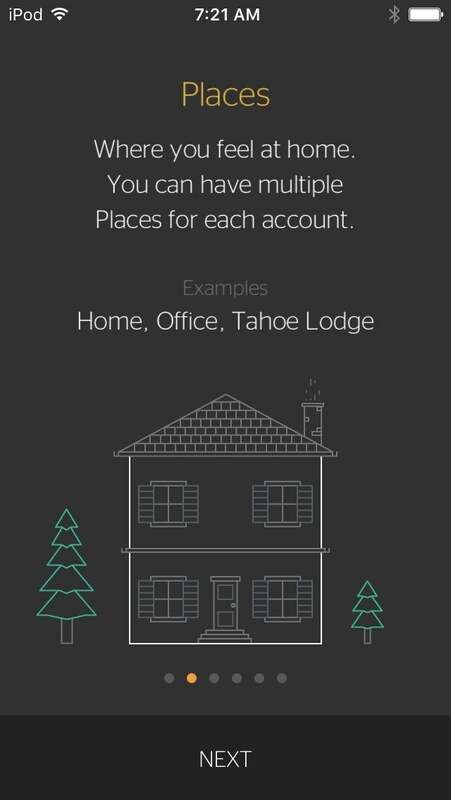 Thanks to the network’s proximity awareness, the app knows which room you’re in. So when you call it up, it will default to displaying the control panel for that room. 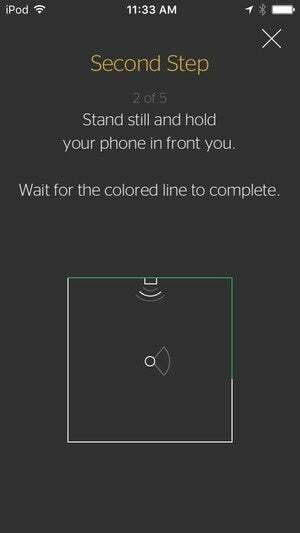 The first screen is just a button that lets you manually turn the light on or off. If it’s a dimmable light, tapping the name will call up a second screen with a big circle that you can spin to make the light brighter or dimmer. 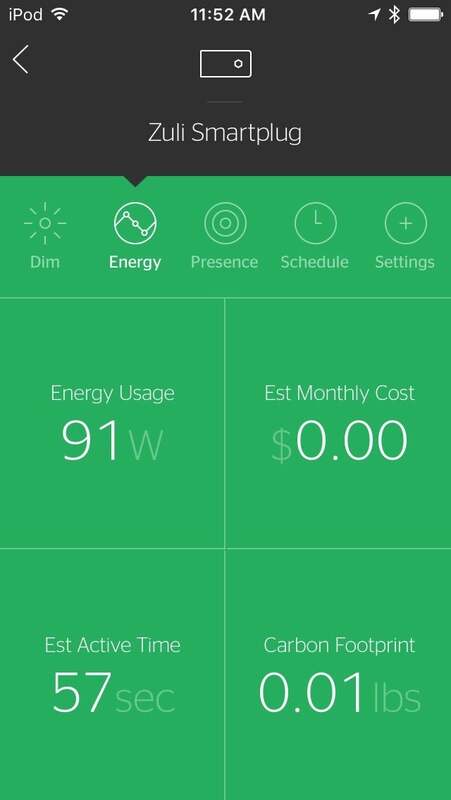 The app can also tell you how much energy your device consuming, and what it's carbon footprint looks like. A number in the middle of the circle provides a scale. Whatever value you set here will be the value that the light comes on, whether it’s triggered or turned on manually. So if you usually want the light dim when you enter, but you brighten one time to read a book, you’ll need to remember to reset the value to your preference before you turn it off. The same screen that shows the dimmer control has four other buttons, the most interesting of which is the Energy button. This will show you how much energy the lamp is consuming in real time, an estimate of the monthly cost to operate the lamp, how long the lamp has been turned on, and the lamp’s carbon footprint. You’ll only need the Presence and Settings buttons when you want to make fundamental changes to the way the Smartplugs operate. Tap the Schedule button and you can create events that will turn the lamp on and off. This feature is only mildly sophisticated: You can set times for the lamp to turn on and off, and you can repeat this event every day or only on given days of the week (every Monday, for instance, or every Monday, Wednesday, and Friday). But there is no randomization feature to allow you to vary the time (plus or minus five minutes for each event), and there’s no provision for having the lamp turn on at sunset and off at sunrise (or a few minutes before or after). Those capabilities are the best way to make a home look lived-in to burglars who might be casing your house. I’ve characterized the Zuli Smartplugs as lighting controls, but they can do more than that. They can also turn electrical appliances on and off, so you could use one to control something like a fan, a space heater, or even a radio I suppose. And as I mentioned up top, they’ll also make a Nest Learning Thermostat work better. The Nest depends on a body passing in front of its motion sensor to let it know someone’s home. If you spend all your time in one area of your home and don’t walk past the thermostat for long stretches, it could decide that you’re not home and therefore not in need of your HVAC system. The Zuli Smartplugs can not only send signals to the Nest letting it know you’re at home, it will also inform the Nest of your personal temperature preferences. As with the lighting control, the first person to enter the home gets their heating and cooling preferences until they leave. Zuli's calibration routine establishes the perimeter of the room in which the Smartplug will operate. I first heard about Zuli Smartplugs after the company received an investment from Logitech. At that time, there was talk of incorporating the plugs into Logitech’s Harmony universal remote ecosystem. That hasn’t happened yet, but I spoke with Umphreys again earlier this week, and he told me the company is still working on it. That would be a great additional feature, because you could have the lights dim when you turn on the TV. But I won’t take any points away for that now. For now, the biggest shortcoming—apart from the absence of Android support, that is—is the plugs’ inability to differentiate between day and night. The app on your smartphone obviously knows what time it is, so it should give you the option of not turning a lamp on when you enter a room during the day. (Some rooms—such as the garage, basement, or attic might be dark all the time, so you’d want to have the choice.) Umphreys tells me that that’s in the works, too. I really like the concept of having lights turn on when I enter a room, and Zuli Smartplugs accomplish the trick at a very reasonable price point. But I’ve identified a number of ways the product could be made even better. And if you live in a newer or remodeled older home with lots of recessed, cove, or under-counter lighting controlled by wall switches, Zuli Smartplugs won’t do much for you. It would be great to see this room-fencing technology incorporated into wall switches, and I would imagine that’s on the company’s roadmap, too. Zuli made its Smartplugs as pretty as wall warts can be, but they’re still wall warts. 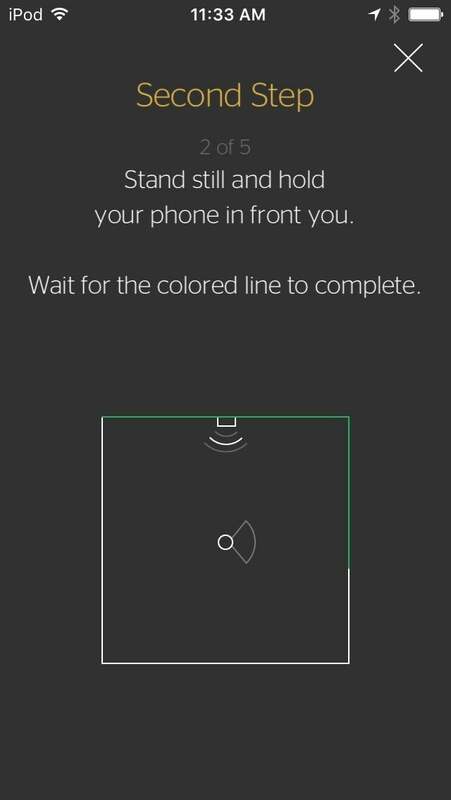 Zuli’s proximity concept is a genius idea that’s mostly well executed, but Android users need not apply.